For more information on The Forrester Wave™: Zero Trust eXtended (ZTX) Ecosystem Providers, Q4 2018, please download the full report or visit our blog. 1 The Forrester Wave™: Zero Trust eXtended (ZTX) Ecosystem Providers, Q4 2018, Forrester Research Inc., 8 November 2018. 2 The Forrester Tech Tide™: Identity And Access Management, Q4 2017, Forrester Research Inc., 12 December 2017. 3 Forrester's Identity And Access Management Maturity Assessment, Forrester Research Inc., 23 August 2018. 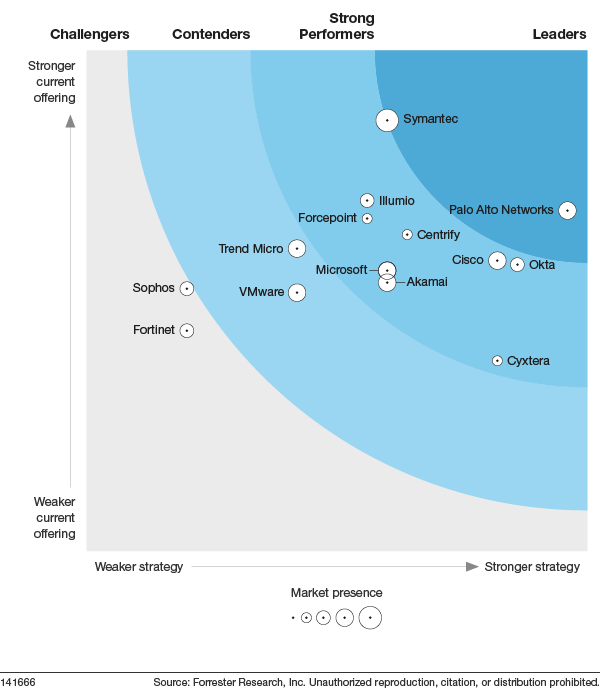 4 The Forrester Wave™: Identity-As-A-Service, Q4 2017, Forrester Research, Inc., 17 November 2017.